Brownington Pond is a quiet, peaceful lake located about 5 miles from Newport. 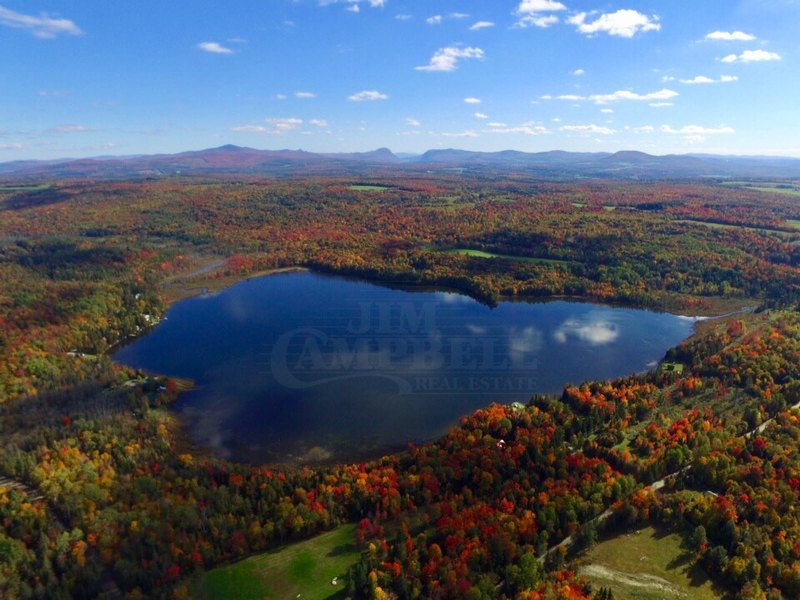 It is adjacent to Derby Town Forest which is on the backside consisting of nearly 400 acres, this insures that the lake will remain private and offers hiking trails throughout. If you like to fish or just relax and watch the loons, you will definitely want to make a stop at Brownington Pond. There are many recreational activities to do in the area including; swimming, fishing, ice fishing, boating, canoeing, kayaking, hiking, snowmobiling, skiing, hunting, museums & biking. Also be sure to check out the wildlife such as Moose, Deer, Turkeys, Loons, Kingfishers, migrating birds and other small mammals. Spend your lazy days of summer here! Small cabin under construction on 5 acres with frontage on Brownington Pond waiting for your finishing touches. Open concept great room on main level and loft space on upper level. Easy access just 15 minutes off I-91 on a town road. Power is on site. Great southern exposure. Exact acreage & amount of frontage TBD. If you enjoy kayaking, canoeing and fishing this is the perfect place. Sit on the front deck and you will be amazed at the peace and quiet. Located in the heart of snowmobile country and minutes to Jay Peak and Burke Mountain ski areas.